If exposure to a life-threatening event leads to long-term distress, or if your reaction to it becomes chronically and significantly disabling, you might have post-traumatic stress disorder (PTSD). Some people with PTSD may use drugs and alcohol to manage their symptoms and go on to develop addiction. Ideally, people with PTSD and addiction should have both issues treated at the same time. Treatment may consist of both therapy and medication. Research continues to uncover more about these two conditions and the most effective forms of treatment. Intrusion symptoms. At least 1 intrusion symptom must be present. Avoidance symptoms. At least 1 avoidance symptom must be present. Cognitions and mood symptoms. At least 2 negative changes in cognitions and mood must be present. Arousal and reactivity symptoms. At least 2 noticeable changes must be present. Why Do People With PTSD Use Drugs? Have a hard time controlling intake of the substance. Need to use more of the substance to obtain the same effects they previously experienced. Go through withdrawal symptoms when use stops. Continue to use despite negative consequences, such as job loss, difficulty maintaining relationships, legal problems, and financial problems. Recently, treatment courses have changed. The integrated model of treatment is used to address both the substance use disorder and PTSD at the same time. The person may see the same clinician for both treatments, rather than seeing 2 separate professionals.4 This approach helps address the complexity of comorbid symptoms, since some may overlap. Further, the person can address triggers and emotions linked with their substance use, which can help foster and maintain recovery. For maximum effectiveness, prescribed medications are often combined with other treatment approaches, such as individual or family therapy. Inpatient treatment. Inpatient programs take place at a residential facility. Individual therapy, family therapy, group therapy, medical care, and psychoeducation may all be included in this type of treatment program. Outpatient treatment. Outpatient programs may take place at a clinic or other office. A client might meet once a week or several times a week, but sessions are typically led by a professional who specializes in substance abuse counseling. Clients may share about their struggles with substance use with the group and may also need to complete homework assignments that foster self-reflection and learning about substance use, related risks and concerns, and triggers. They might also be encouraged to engage in individual therapy and/or family therapy. 12-step programs. Twelve-step programs, such as Alcoholics Anonymous or Narcotics Anonymous, also take place in a group setting. During these groups, clients hear others share their experiences with substance use and sobriety. They may also find support through the help of a sponsor. Support groups. Support groups may or may not be led by a professional and can be on a variety of topics including substance use, PTSD, or both. Veterans programs. Programs for veterans are available through the Veterans Administration (VA). Programs may focus on substance use, PTSD, or both. 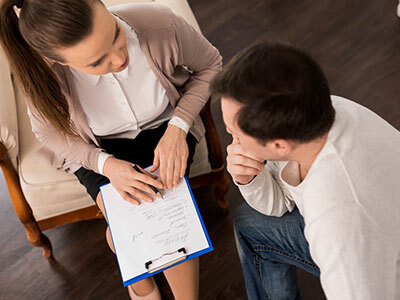 Again, the client might be encouraged to engage in other types of treatment as well, including individual therapy, family therapy, or psychiatric medication. There are such a variety of treatment options for comorbid PTSD and substance use disorders that it can be overwhelming. Find the treatment option that you feel most comfortable with and that fits you best so that you can get the help that you need and deserve. 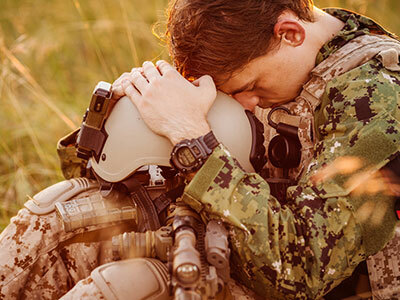 If you or someone you know struggles with PTSD, a substance use disorder, or both, get help today. American Psychiatric Association. (2013). Diagnostic and Statistical Manual of Mental Disorders: Fifth Edition. Arlington, VA: American Psychiatric Association Publishing. National Institute of Mental Health. (N.D.) Post-Traumatic Stress Disorder Among Adults. National Institute of Mental Health. (2016). Post-Traumatic Stress Disorder. U.S. Department of Veterans Affairs. (2017). Treatment of Co-Occurring PTSD and Substance Use Disorder in VA.
Berenz, E. C., & Coffey, S. F. (2012). Treatment of Co-occurring Posttraumatic Stress Disorder and Substance Use Disorders. Current Psychiatry Reports, 14(5), 469-477.